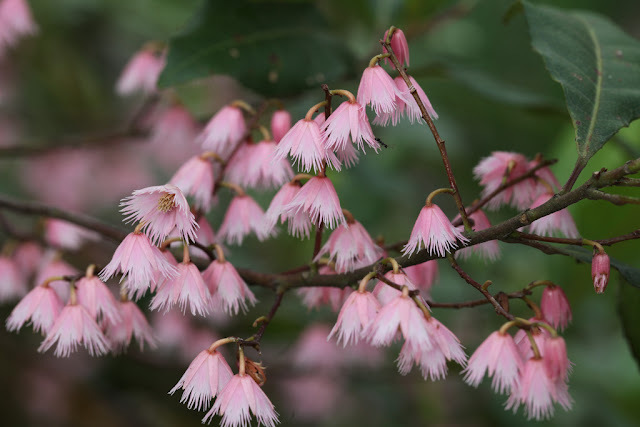 Join Peter as we stroll through Useful & Beautiful small trees in Design Elements This plant share its name with a famous biscuit, no not Tim Tam, in Vegetable Heroes, and a small tree that’s tough, but with the prettiest flowers. Lastly, one of the world’s most popular fragrant flowers, and it’s not a rose, in Talking Flowers. Small Trees that are "useful and beautiful." Have you got a small or large garden? Chances are a lot of you are thinking, mmm, it’s pretty small but I used to have a large garden. Either way, there’s always room for a small something, to fit into the design scheme that won't take up too much room, is out of the ordinary, and is "useful and beautiful." Today, we’re talking about something that’s either a very large shrub or a very small tree. Peter mentioned Hibiscus schizopetalus also known as Japanese Lantern which has the daintiest red flower. The flower almost looks like a ballerina suspended by a fine thread and are terminal, meaning that they're at the ends of the branches. 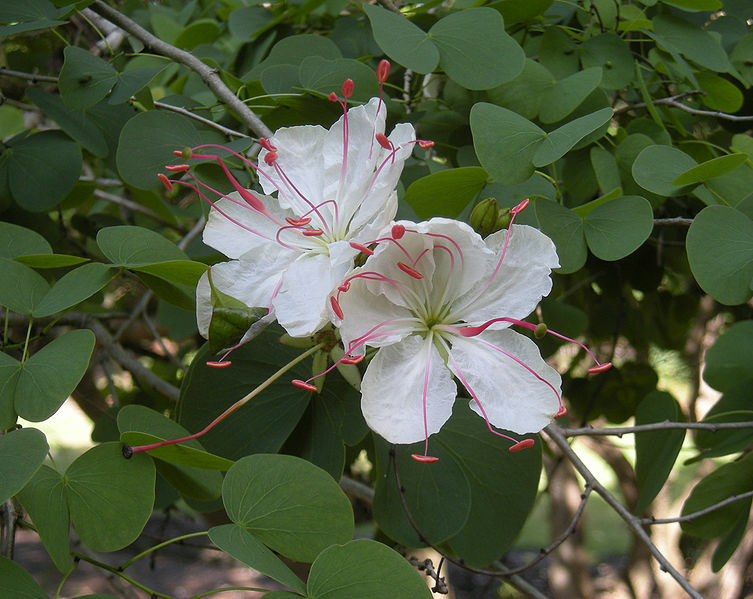 White Bauhinia or Bauhina hookerii with white butterfly like flowers. Brachychiton bidwillii which may be grafted but can be summer deciduous in areas such as Adelaide. If you have any questions either for me or for Peter, you can email us Realworldgardener@gmail.com or write in to 2rrr, PO Box 644 Gladesville NSW 1675. Because a study released not too long ago from Sydney University showed that a high carbohydrate, low protein diet can help you live fifty per cent longer. Ever heard of arrowroot as in arrowroot biscuits perhaps? Did you know though that there was an edible canna as well? Yes, Canna and Arrowroot are one and the same. 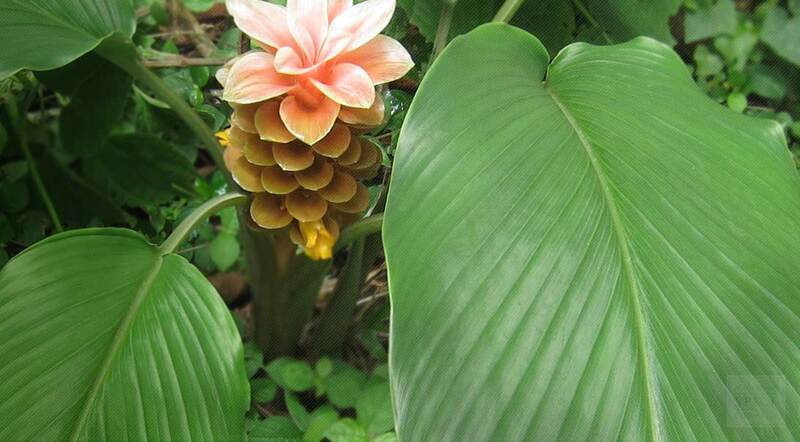 An amazing fact though it’s bit like edible Ginger or Cardamom because it’s a very hardy, clump-forming perennial plant with thick stalks and large bright green leaves 300-600mm long to 2m high. Here’s something you won’t know: Arrowroot tubers can be used all year round, as a potato substitute. HINT: Another good thing about Arrowroot tubers is that you can plant them at any time of the year. While the tubers grow at a rate of knots, in deep rich friable soil, they are the most hardy of all the tuber crops and grows well in any type of soils. These tubers can even grow where most other tubers refuse to grow. Of course if you add compost, manures and all those great organic fertilisers you have in that garden shed, you’ll get fast growth and lots of tubers. HOT TIP: seed grown plants are slow to mature and vary in the type of plant you get. It’s faster and better to divide your plants if you want to give some to other gardeners. 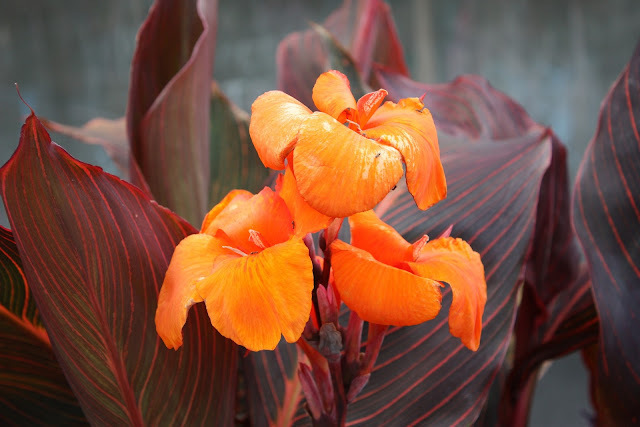 TIP If you can grow Cannas you can definitely grow edible Cannas and arrowroot has few problems with pests and diseases. As mentioned arrowroot is starchy and can be eaten like potatoes. But what do you do? Excellent carbohydrate, the starch is easily digested. So back to that study, Sydney University research found mice fed a high carbohydrate, low protein diet had a longer lifespan and better cardio-metabolic health despite the fact they were overweight. Here’s a small tree with lily of the valley type flowers and olive like fruit. A very tough small tree that’s native to the east coast of Australia that is also bird attracting especially to all types of parrots. Karen’s neighbour keeps her blueberry ash trimmed down to 4 metres or you could leave it a bit bigger and “limb up” as Peter Nixon would say so you have a lovely shade tree to sit under. If you have a cottage garden big or small, chances are you've invested in Spring bulbs which include Freesias. Gardeners will be ordering Freesias in their Spring bulb order now. Freesia flowers are “zygomorphic” which just means that they grow along one side of the stem, in a single plane. When you look at a flower stalk, you'll see that the blooms are facing upwards. Freesias stems have the unusual habit of turning at right angles just below the bottom flower. This causes the upper portion of the stem to grow almost parallel with the ground. The flowers bloom along the top side of the stalk, facing upwards. Isn't nature clever? 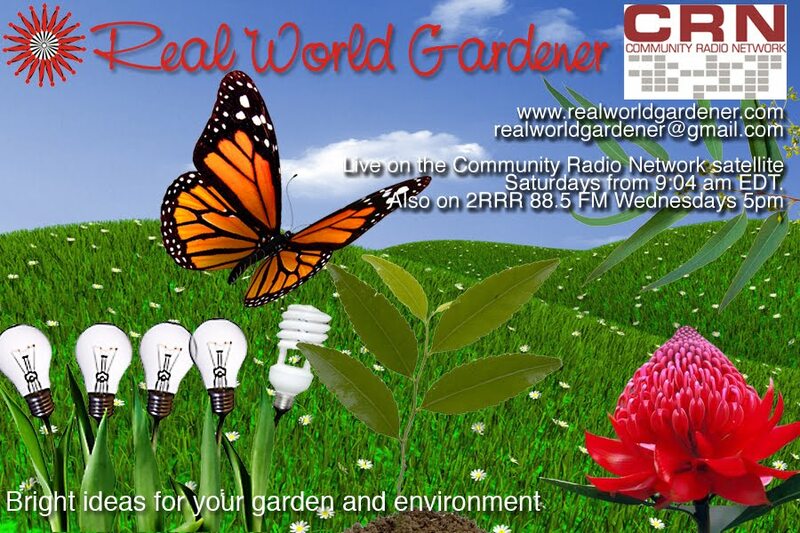 Recorded live during broadcast of Real World Gardener program on 2rrr 88.5 fm Sydney.